Join us for weekly meditation and guidance on cultivating a stable mind. 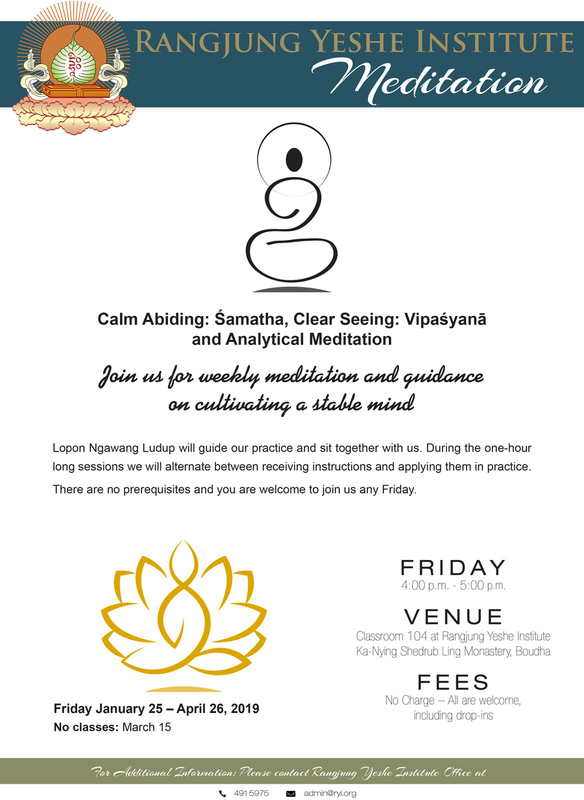 Everyone, is welcome to join this open meditation class. Lopon Nawang Ludup will be teaching in Tibetan with English translation.